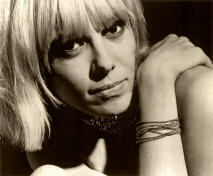 One of the coolest people to ever walk the planet....Anita Pallenberg was born on January 25, 1944 in Rome, Italy. 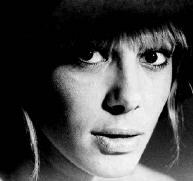 A definite swingin' chick for the 60s, a fashion icon for generations to come, Anita Pallenberg was without a doubt THE unsung "it" girl of the day. 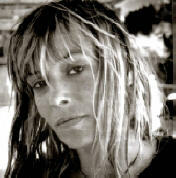 Modeling, filmmaking, breakdowns, drug busts, deaths, Keith Richards, and the terribly long recovery and aftermath of the 1980s...Anita Pallenberg has proven herself having lived a very intense and dangerous life. She is a survivor in every meaning of the word. In her heyday and to this day she possessed talent, looks, attitude, obvious intelligence, and an international cool to intimidate just about anybody, including the Rolling Stones. Growing up in Italy, Her father Arnaldo, was an artist, as was her entire family. He painted and played piano. Her mother, Paula Wiederhold was a secretary at the German Embassy in Rome. She had a sister who was disfigured in an electrical accident as a child, so her parents were sort of expecting a "fresh" start with a new child. That's where Anita comes in. They wanted a boy, and were going to name this boy, who would actually be Anita, Martin. The Pallenbergs were pan-European, and Anita spoke four different languages. She went to a Swiss school in Rome, but she skipped classes, and was sent off to another one. She went to a boarding school in Bavaria which had 180 boys, and only 20 girls. She did fantastically in Latin and pottery. She was expelled from this school too, for hitchhiking to Munich for kicks. She met Rolling Stones guitarist Brian Jones after a show in 1965 , whom she later left after suffering months of physical abuse from Brian, for fellow Stone Keith Richards in 1967, a loss from which Brian is said to have never recovered. Brian feel head over heels in love with Anita and it is well known she may have been the only woman he ever loved. According to Chrissie Shrimpton (early girlfriend of Mick Jagger) "She was like no one anyone had ever met before, she was foriegn, exotic, very extrodinary looking. All the old school girls become redundent once Anita came along, they had to be more edgy and more fitting, and the ones that couldn't keep up got pushed aside, as I did."